Airbnb is a website for people to list, find and rent lodging in over 34,000 cities across 190 countries. With this blog post, I want to highlight the advantages of using Airbnb, my great experiences and… the weird, awkward and uncomfortable ones! Great website, easy to use and lots of choice even in remote cities! You can achieve a “homely” vibe even on short stay breaks; with shared accommodation, or with an entire rental of someone’s home. You can immerse yourself within local culture, food and the community! The pre-confirmation price hike! Security deposits and that dreaded “cleaning fee” add up your per night cost quite considerably. The deep clean you feel compelled to do, even though you haven’t made any mess! My first Airbnb stay in Bayeux, France. One of the best Airbnb stays I have ever experienced was in booking my first Airbnb room in an older French couple’s home. The location was Bayeux and Rachel and myself wanted to explore the D-Day beaches. Even though our hosts couldn’t speak English, they were the friendliest couple imaginable and we bonded over football, food and language barriers! We stayed in their home for three nights and each morning we would have a huge, lovely, continental breakfast with them whilst Rachel translated the conversation to me. They gave us local advice about tourist attractions and other cool places we should visit during our stay. 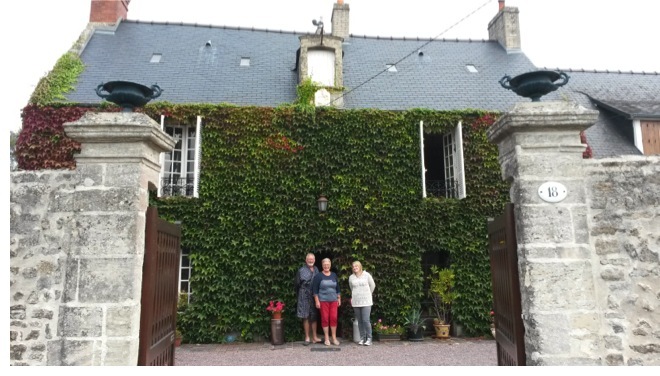 We learnt a lot about their way of life and family and it was such a lovely experience to bond with a different generation and nationality on our French road trip! We resided here in September 2014 and Rachel still speaks with our host over the phone from time to time. I feel humbled to have met them and stayed in their home and regularly reminisce about our French family stay! The view from outside our apartment in Milsons Point, Australia! Australia is expensive and with a three-week holiday booked, we decided to look on Airbnb to stay in a homely apartment during our first week in Sydney. 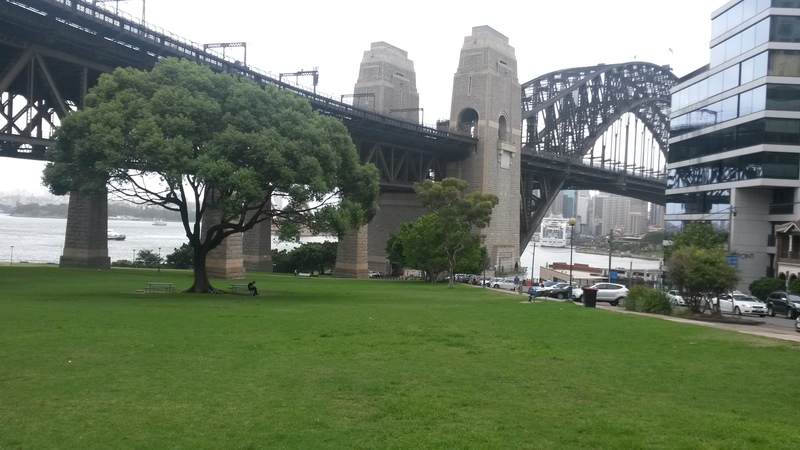 We booked an apartment near Milson’s Point, the other side of the Harbour Bridge so that we could easily commute to the city, or to the Northern beaches to visit my brother. The apartment was lovely and sleek, our host… was not! After calling us numerous times once we had landed at 6am and an awkward prolonged handshake, our host staggered and fell over outside of the apartment block. We both helped her up, shocked and bewildered by the situation. After a confusing conversation in the lift and a comedy sketch style entrance, with the key having a life of its own and missing the lock multiple times, we finally entered the apartment. Another awkward and hurried conversation occurred and our host finally left, nearly with our key, after walking in to the cupboard on her way out! Bemused and confused, we burst out laughing and considered our host having some sort of muscle wastage disorder to explain her fall. However, after careful consideration we decided our host was absolutely, positively, rotten drunk at 8am! 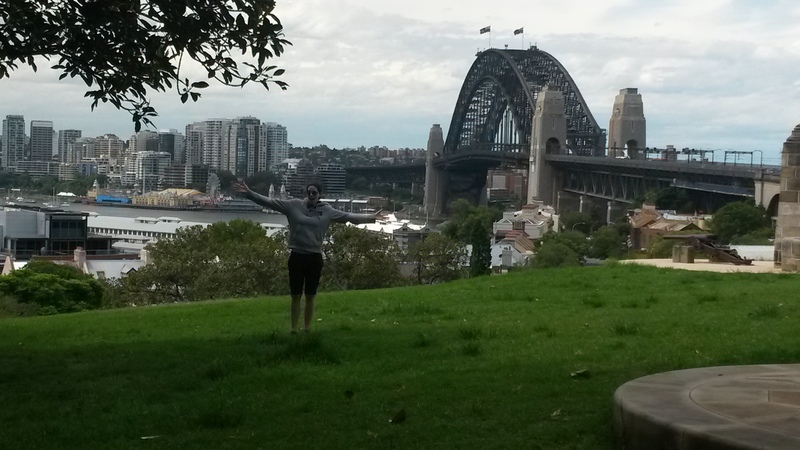 Rachel on Observatory Hill in Sydney, Australia!